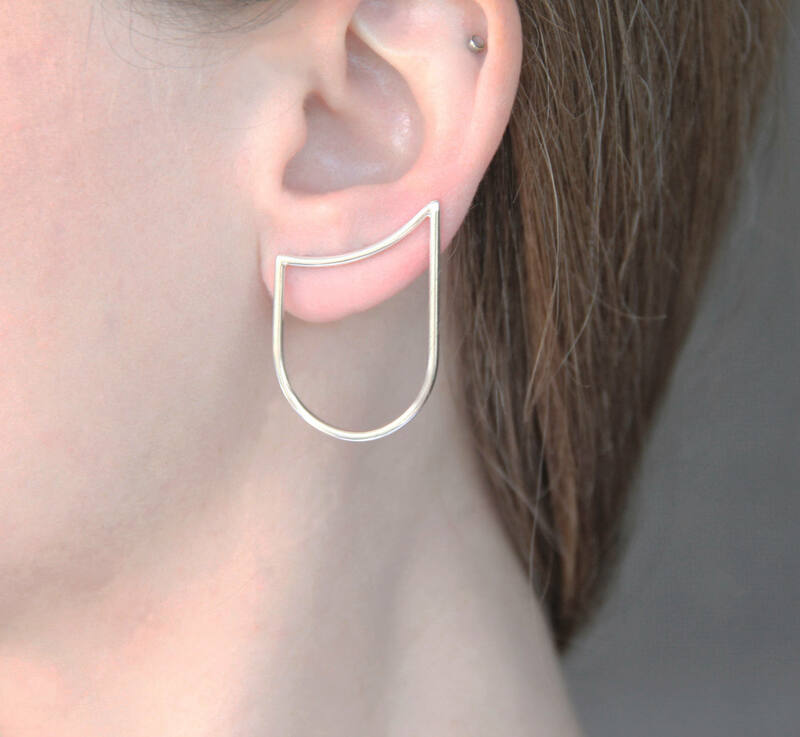 - The ear climbers are lightweight, made out of round 1.65mm thick sterling silver wire hand forged and formed to a curve that compliments the earlobe. - The curved line measures 2.5cm long, and the arch bottom part measures 2.5cm wide. - The ear climbers measure 3.5cm from top to bottom. - The ear climbers are lightweight and they rest comfortably on the earlobe, supported by a 0.8mm sterling silver wire that is soldered at the back. These earrings are for pierced ears. - These ear climbers are sold single or in pairs, please make your selection at check out.